The LE1 low stool is part of the LE1 furniture range made from English sustainably sourced timbers. Using this as a boundary, it has been made with strong contrasting woods to show off the natural characteristics of the materials. Form is a very important facet of the range emphasising the qualities of each wood, but also playing an integral role in the structure and stability. 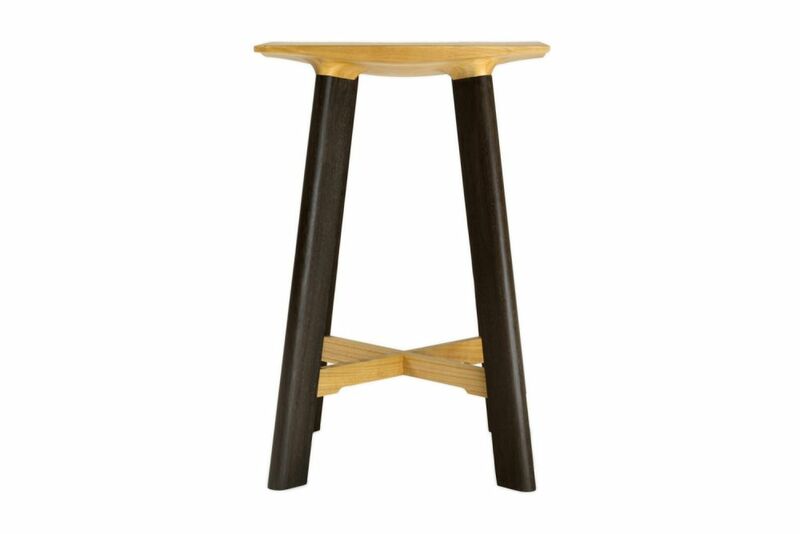 The stool has been made with new methods of manufacture, finished by hand and treated with a hardwax oil, which gives a natural, low lustre finish. Due to the unique nature of the timbers, variation in grain may occur.